You are here - Home/Women/Clothing/Salwar Kameez/Stupendous Pink Net Anarkali Suit With Dupatta. Stupendous Pink Net Anarkali Suit With Dupatta. 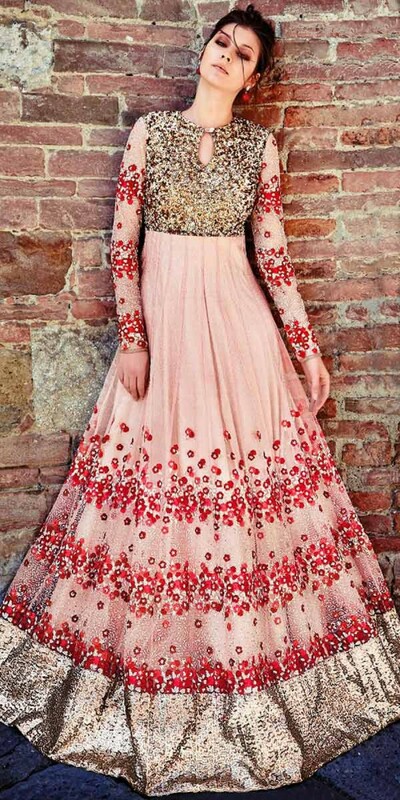 Stupendous Pink Net Anarkali Suit With Dupatta.This is fabulous dress enhanced with resham work all over it,it has bottom and full sleeves having lace work,it has chiffon dupatta having lace patti work on all side.